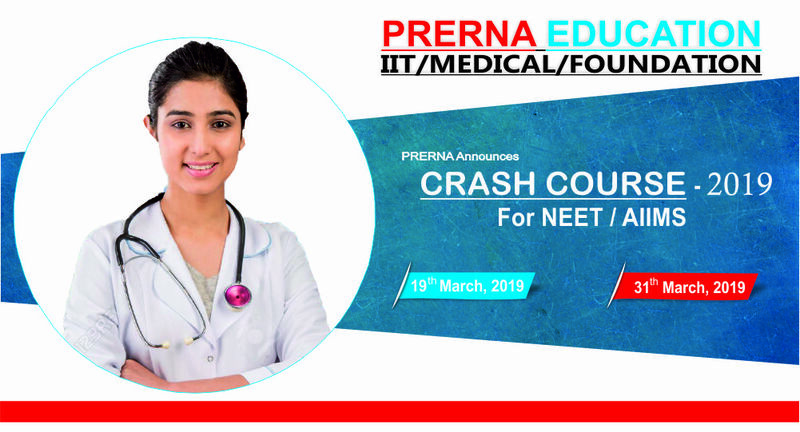 PRERNA EDUCATION is offering NEET / AIIMS/ JIPMER Crash Course Coaching for Medical Entrance Examination, NEET-UG for aspirants of NEET 2019. NEET Crash course is designed to give a last minute grilling before the NEET exam. WHY CHOOSE PRERNA FOR CRASH COURSE COACHING?